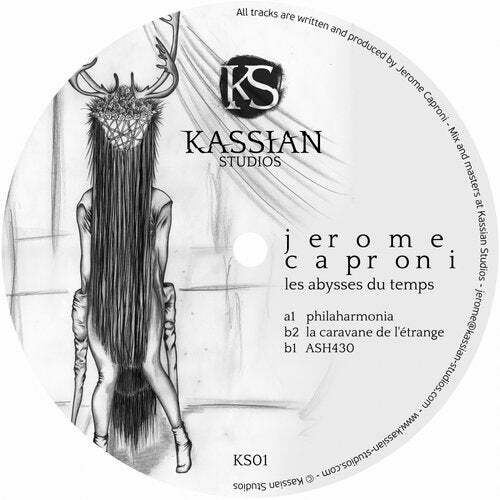 First release on the new label run by Jerome Caproni. Kassian Studios is a laboratory for experimenting and creating music and graphic art. The release open with 'Philharmonia', a electronica track with textural effects and atmospheric sounds. Deeply chords and vocals samples dominates 'La Caravane de l'Etrange' with funky percussions. 'ASH430' close the EP with his massive baseline and strong melody on a broken rythm.